Golf swings are like gardens — leave them untended for too long and they become an overgrown mess. I had a pretty nice garden for a while, during my days at the International Junior Golf Academy and while playing college golf. But when you can’t practice as much as you’d like, the weeds eventually start sneaking through. That started to change this past September, when GOLF’s parent company, 8AM Golf, announced its partnership with Swing AI and its flagship app, Swing Index. The app connects you with an expert instructor who grades your swing, then uses Artificial Intelligence to help you get better. I liked the sound of that firepower, so I downloaded the app and was immediately hooked up with GOLF Top 100 Teacher and Swing AI’s chief swing officer, Joe Plecker. My favorite thing about the app was the Swing Index itself. It’s basically a USGA handicap-style rating for your swing. Joe went through every component of my technique — grip, stance, trail-arm action, everything. There are 21 different swing components, all of which comprise your overall Swing Index (see photos below). Joe awarded me an initial Swing Index of 7.6, which, between you and me, I was quite content with. Once I got my Swing Index, it kicked off a series of lessons called a “Roadmap,” each one addressing a low-scoring element in my motion that was keeping my overall Swing Index down. I’d send in a swing, Joe would review it, and then he’d give me a digital lesson for each one. Once I passed, we’d move on to the next stop on my roadmap. It’s a bit like a doctor prescribing a treatment plan, which is good, because my golf swing had definitely fallen a little under the weather. One by one, we began weeding out all the little flaws that had snuck back into my swing after years of working behind a desk, like a flying right elbow in my backswing or the loss of my rightside bend through impact. 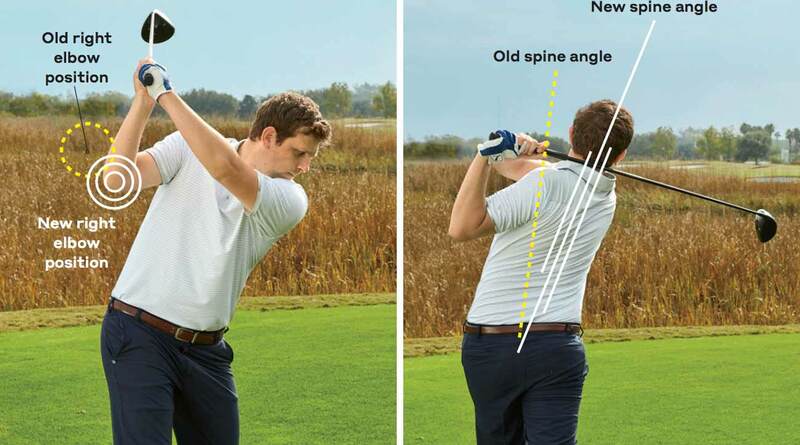 My arms and club would get stuck behind me on my downswing, and then I’d swing too far out and up. I was prone to massive blocks right and big, high hooks. Two months later, I met Joe in person for the first time to play golf. My faults are fixed (photos, above), my Swing Index is up to 8.14 and I’m back to hitting tight little fades. Best of all, I made a friend in the process. How does Swing Index work? See below. 1. A Swing Index is an overall score that a GOLF Top 100 Teacher assigns your golf swing based on its characteristics. 2. Your personal Swing Index is calculated by your instructor, who grades 21 different components of your technique. 3. Once your Swing Index is calculated, your digital instructor uses Artificial Intelligence technology to help you improve it. Visit swingindex.golf to see how good you can get.